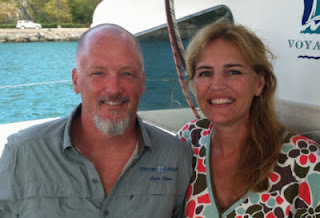 Steve & Deb, owner-operators of the charter catamaran Alternate Latitude, are getting married in September and thus they have become acutely aware of how expensive weddings and honeymoons can be. Therefore, to help out fellow brides and grooms, they have decided to begin offering both a honeymoon special and an anniversary special. Contact us for last-minute charters discounts (bookings made 2 weeks or less before beginning of charter). Alternate Latitude is a 44-foot Voyage catamaran with Steve and Deb as an owner-operator crew of two. The yacht is fully air conditioned and accommodates up to 6 guests in 3 cabins, each with Queen berths and ensuite head/shower. 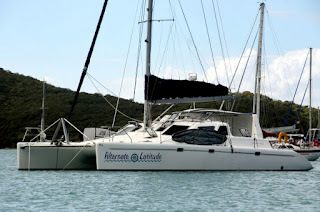 Alternate Latitude has a 12-foot dinghy with 40HP motor, tube, two standup paddleboards (SUPs), snorkel equipment, floating mats, noodles, fishing gear, GoPro underwater camera, hammock, 2 laptops for viewing DVDs, wifi where available, etc. Alternate Latitude will be chartering in the Virgin Islands through August 8th and then will return for the 2013-14 charter season. CURRENTLY AVAILABLE FOR CHRISTMAS 2013 AND NEW YEARS !!! 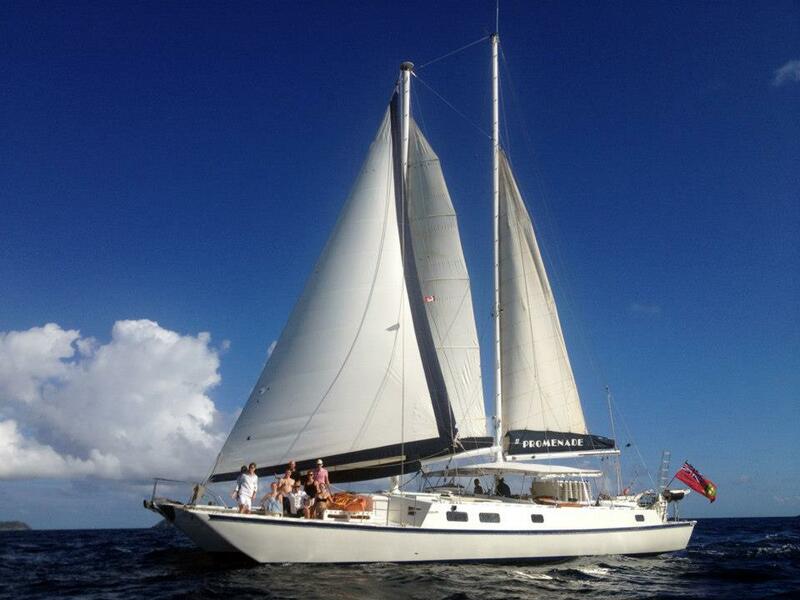 We would like to welcome the charter yacht DOMICIL into the Caribbean charter fleet. 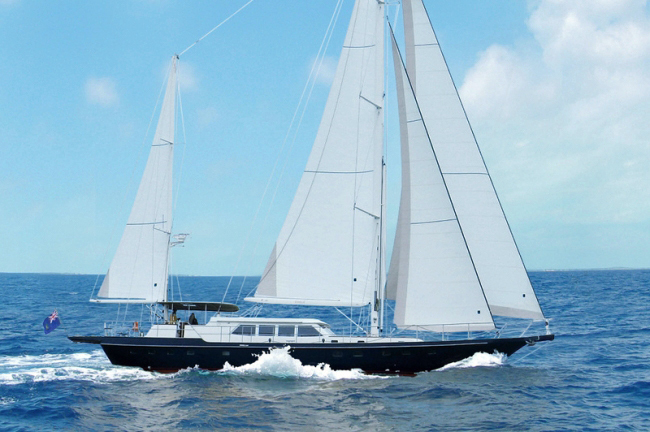 This 85-foot ketch limits their charters to the pampering of four guests in two guest cabins. Domicil is based out of Bonaire and Curacao so if you have chartered in the Virgin Islands and other areas of the Caribbean, this is an excellent opportunity to explore somewhere new... the ABC's. 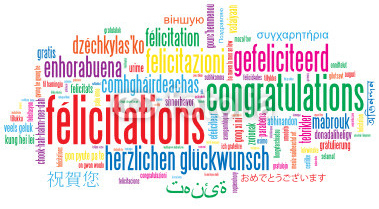 Domicil has recently arrived in the Caribbean. 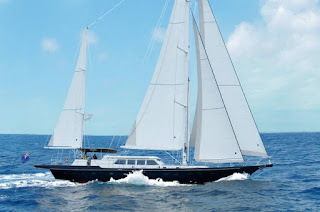 The yacht, launched February 2013 in Holland, was designed and built expressly for charter. As the winds are always easterly, this is a great downwind sailing event, making it an easy passage even for those not used to being on the sea. The Domicil crew will welcome you at the airport (Flamingo) on Bonaire and bring you to the yacht Domicil waiting for you at their Kralendijk mooring. Once aboard, freshen up and then enjoy cocktails and hors d'houvres on deck. 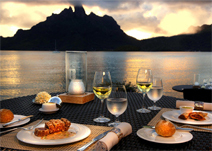 A beautiful sunset is the prelude for a romantic dinner -- alfresco! Bonaire is a wonderful Caribbean Island with a historic Dutch flavor! You can wander around in Kralendijk, enjoy the best dive spots in the world, or drive to the unique salt pans flanked by original slave houses. 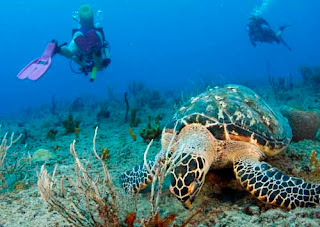 Bonaire is an amazing experience! This is a fabulous day of sailing from Bonaire to the island of Klein Curacao, about 30 miles to the west. After breakfast we set sail in a broad reach (that's smooth sailing) to the uninhabited island called 'Klein Curacao'. 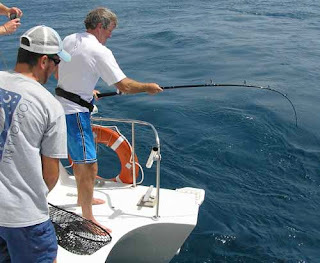 With a bit of luck we will meet dolphins on the way, and those who like to fish can try for a marlin or a tuna! We arrive late in the afternoon, just in time for cocktails and an always inspiring sunset. Dinner aboard. On Klein Curacao you will find pristine beaches, crystal clear waters with coral, colorful fish and with a little luck, swimming with turtles! 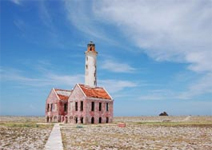 The island has many interesting stories, illustrated with a deserted lighthouse, shipwrecks and traces of old settlements. By evening you may have the island for yourself! 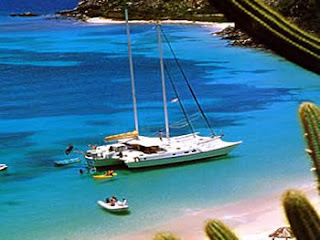 We anchor overnight in the protected bay and enjoy the relaxed ambiance of this special secluded place. 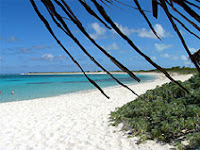 After a relaxed breakfast we complete the easy sail to Curacao to the famous private 5-start resort, Baoase. 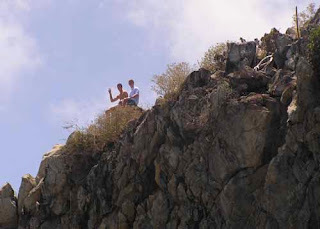 There, a private car (Mercedes with a driver/guide) is available for you to explore the intriguing features of Curacao. Visit the beaches, natural parks, famous 'Handelskade' with the floating bridge, floating market, the slave museum, or tax-free shopping in Punda. Curacao offers some fabulous architecture on the UNESCO world heritage list. 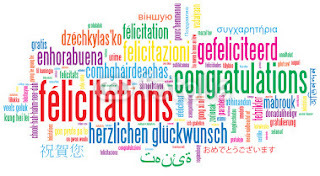 We will be happy create a day package to suit your needs. In the evening you are the guest of the very best chef on Curacao at the 5-star Baoase private resort. Your dinner will be served on the private beach. 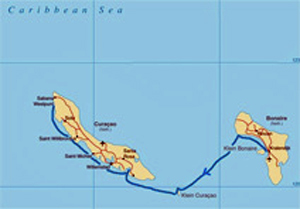 Today we sail along the south coast of Curacao all the way to the very west tip called West Point. We anchor in Playa Kalki in front of the famous Kura Hurlanda resort. After cocktails at sunset, the choice is yours: A romantic last dinner aboard or ashore at the beautiful Kura Hulanda resort. Whatever your choice was last night, we are sure you have spent a memorable week aboard Domicil. Enjoy a relaxed breakfast, one last swim and check out at any time. The Domicil crew will take you to the airport for your return to Bonaire or onwards to your international destination. 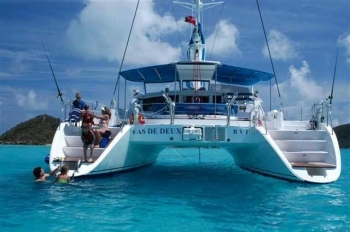 Pas de Deux is a 60-foot Fontaine Pajot catamaran with a crew of two. Pas de Deux is air conditioned and accommodates up to 6 guests in 3 cabins, each with Queen sized berths, Flat Screen TV/DVD/CD players. and ensuite heads/showers. Pas de Deux has a 14-foot dinghy with 60HP motor, waterskis, kneeboard, wakeboard, wakeskate, tube, kayak, fishing gear, snorkel equipment, underwater camera, wifi where available, etc. Captain Rodrigo is a PADI Dive Master and offers 5 dives/week to certified divers for $350/diver/week, including gear. You can do a night dive during the week if you wish. 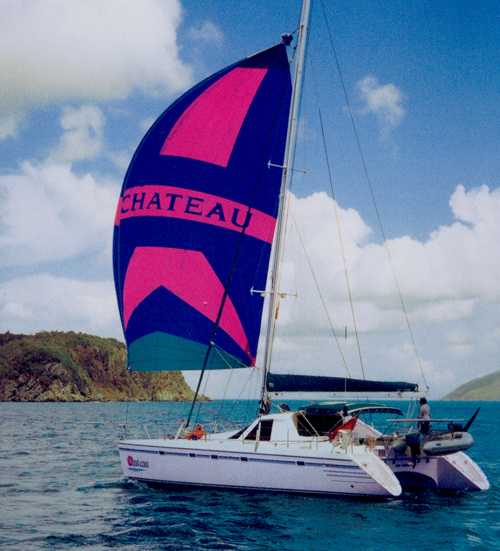 Chateau is a 42-foot Privilege catamaran with a crew of two (Captain David is owner-operator) chartering in the Virgin Islands. Chateau is air conditioned and has three equal double cabins all with their own head/shower. The two aft guest cabins have a washbasin in the cabin, while their private toilet and shower are located just outside the cabin (see boat’s layout diagram). The forward guest cabin has ensuite heads/shower. Chateau is very well equipped with a 13-foot dinghy with 50HP motor, waterskis, tube, kneeboard, wakeboard, 2-person kayak, windsurfer, aquaglide, two standup paddleboards (SUP), floating mats, snorkel gear, light tackle fishing gear, TV/DVD in salon, wifi available, etc. 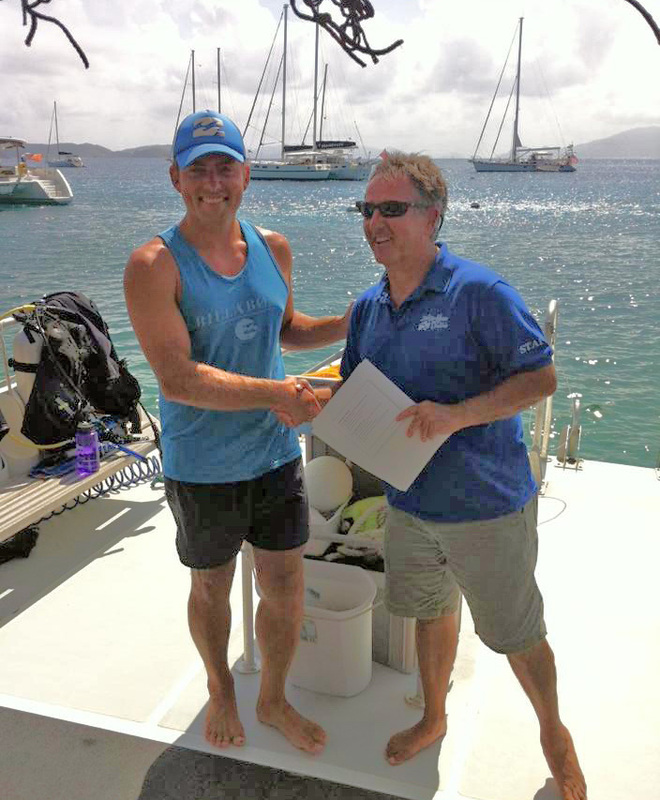 David is a dive master and Chateau includes 2 dives/day with a maximum of 6 dives/week for certified divers. You may bring your own scuba gear or rent for $180/week/diver. Air fills are not included. Summer discount: $500 off any new booking with the charter to take place in June or July 2013. May be combined with the kid special. Kid special: One child aged 10 years old or less sails for FREE with 2 paying adults. It has been a long time since the charter yacht Promenade, a 65-foot trimaran, has put on this type of off-season discount. Now, with Captain Chad eager to fill up his calendar, there are some great prices available for those who act quickly! 20% discount on new bookings for all-inclusive charters taking place between now and December 1, 2013. This offer is available for charters of less than 7 nights, too. What does this mean in plain terms? Probably the best deal around with a yacht that is loaded with amenities and offers diving (Chad is a dive instructor), as well. 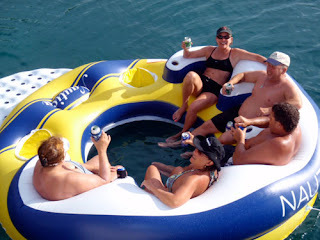 For example, a group of 10 can have an all-inclusive, 7-night charter aboard Promenade for only $14,320. Promenade generally picks up guests on Tortola in the BVIs but they are happy to meet your group (if 6 people or less, of course) in Red Hook, St Thomas, US Virgin Islands. 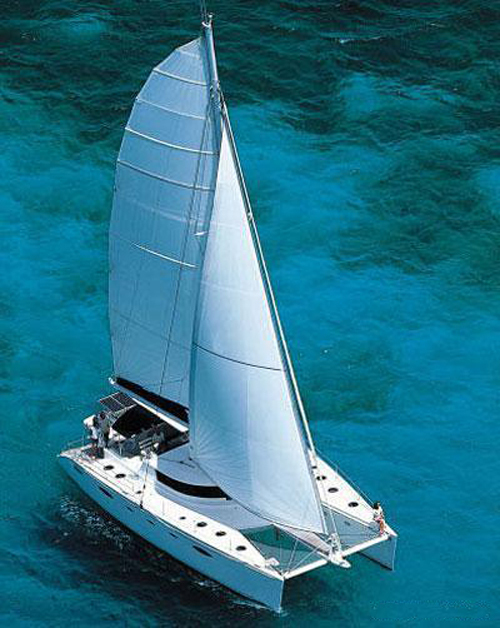 Promenade is a spacious 65-foot trimaran, with a beam of 35 feet, that accommodates up to 10 guests in 5 cabins (possibly 11 or 12, if family. Inquire). The two forward cabins have Queen berths and ensuite head/shower, while the 3 aft cabins (one Queen, and two cabins that can either be configured as Twins or a King) share 2 heads with showers. 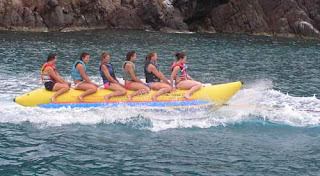 There's lots of things to do aboard Promenade: diving, snorkeling, kayaking, waterskiing, fishing, kneeboarding, tubing, banana riding, "power lounging", DVD, hiking, beachcombing, listening to tunes, or just chilling out... PLUS, ask nicely and they might just share some homemade ice cream with you! Promenade is available for this Christmas (December 22-29, 2013) and possibly New Years (they have a hold, not yet confirmed charter, for Dec.30-Jan.6). The holiday weeks for this year are booking very early. Promenade is a fun boat, quite affordable, and there are not many boats that can charter up to 10-12 guests. Get off the fence and book now... You snooze, you lose! After many years of chartering, the catamaran Aldebaran is leaving the charter fleet... but, the great news is that Oliver and Naomi (formerly of Aldebaran 2012-13) will now be crew on the new charter yacht Greenboat 1. 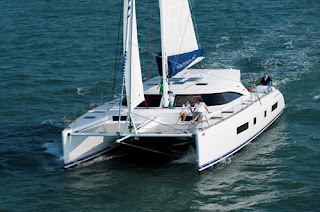 GreenBoat 1 is a 2013, 54-foot Nautitech catamaran designed to provide luxurious accommodations, high performance sailing and leading edge green technology for the smallest carbon footprint possible. GreenBoat has a crew of two, is fully air conditioned and accommodates up to 8 charterers in 4 guest cabins, each with a tablet-controlled TV for music and movies, Queen-sized berth, private ensuite head with separate shower stall. GreenBoat has a 14-foot dinghy with 60HP motor, tube, 2-person kayak, 2 standup paddleboards (SUPs), waterskis, kneeboard, wakeboard, snorkle gear, underwater camera, 6-person inflatable aqua lounge island, hammock, onboard wifi, TV/DVD in salon, projector movie system for outdoor movies, etc. Captain Oli is an RYA sailing instructor. Naomi is a Yoga teacher for Asthantaga and Vinyasa Flow yoga and offers sunrise and sunset sessions aboard for a small fee of $10/guest/session. Take a look at the photos of some of their cool "toys" by clicking on the "More Pictures" tab on our online brochure for GreenBoat 1. The crewed charter yacht Promenade is a spacious 65-foot trimaran, with a beam of 35 feet, that accommodates up to 10 guests (inquire for 12) in 5 cabins. The two forward cabins have Queen berths and ensuite head/shower, while the 3 aft cabins (one Queen, and two cabins that can either be configured as Twins or a King) share 2 heads with showers. Promenade will be chartering all summer in the Virgin Islands. Contact Paradise Connections for availability and possible special offers.